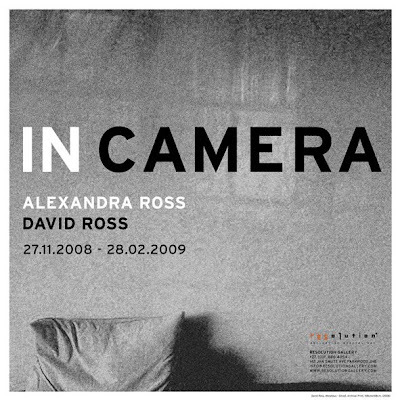 David and Alexandra Ross are currently exhibiting as a duo at the Resolution Gallery with a photographic exhibition called In Camera. The show takes its name from the legal term meaning â€œin privateâ€, and the grainy images in black and white reveal intimate, moody glimpses into private domains. Interestingly, artist Alexandra Ross has previously styled dÐ¹cor for DECO, and photographer David is often called upon to shoot houses and travel features for us. In private, this talented pair turns a trained eye on making fine art, in this case, using low-tech mobile phone and laptop camera technology. Visit Resolution Gallery in Parkwood, Johannesburg. In Camera is on show until 28 February 2009.